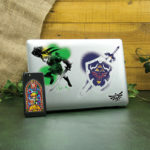 Customize your gadgets with these Hyrule Gadget Decals a collection of 21 waterproof and removable stickers designed for use on smartphones, tablets and laptops. 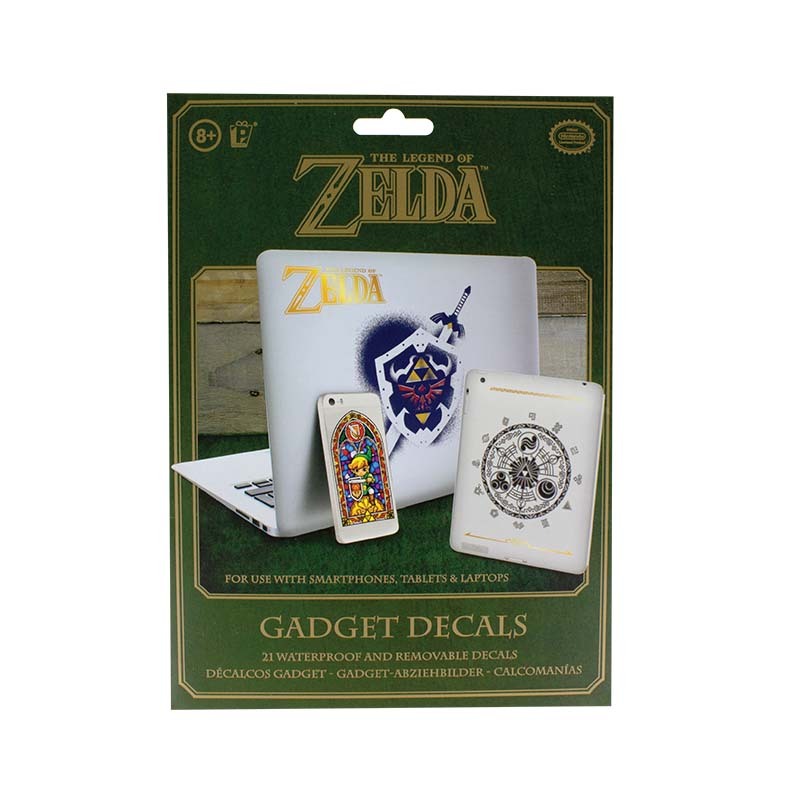 Featuring characters, images and logos from the hugely popular The Legend of Zelda series of games, the Hyrule Gadget Decals are a great gift for gamers and help transform your gadgets into perfect Legend of Zelda memorabilia. 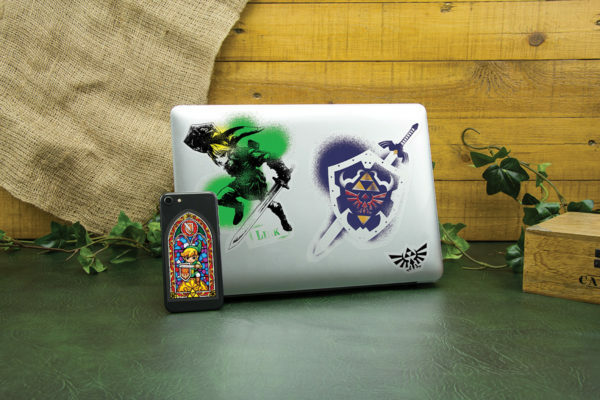 Customize your gadgets with these Hyrule Gadget Decals – a collection of 21 waterproof and removable stickers designed for use on smartphones, tablets and laptops. 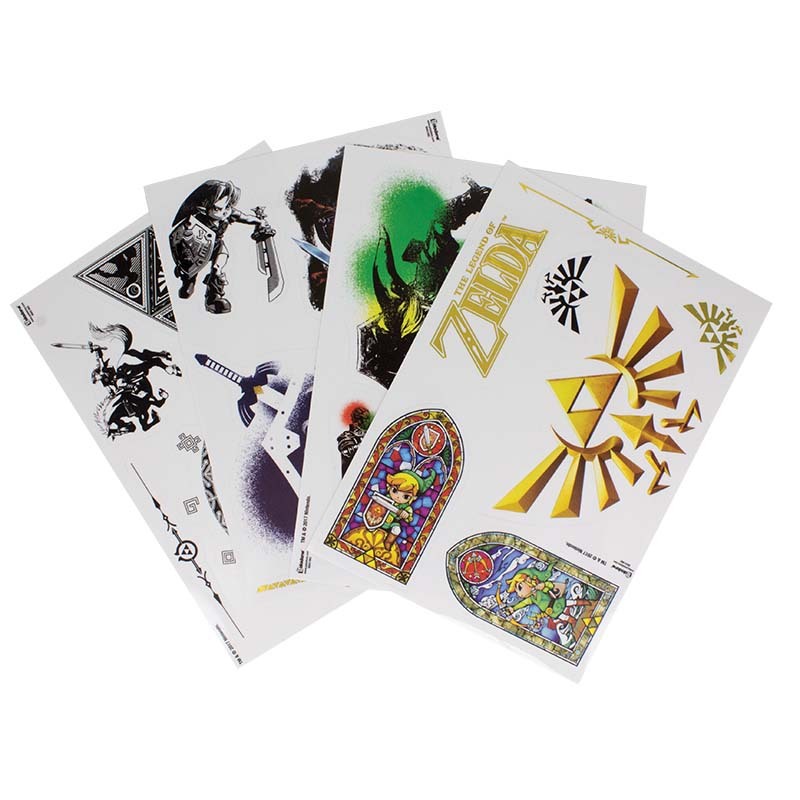 Featuring characters, images and logos from the hugely popular The Legend of Zelda series of games, the Hyrule Gadget Decals are a great gift for gamers and help transform your gadgets into perfect Legend of Zelda memorabilia. First released in 1986, The Legend of Zelda has become a hugely successful and highly influential franchise within the games industry, spawning numerous sequels, prequels and spin-offs, including Ocarina of Time, The Wind Waker, and Tri Force Heroes. The fantasy adventure has even included various cartoons and comic books, meaning the characters of Link, Princess Zelda, and Ganondorf have become household names to fans, and are some of the most popular video games characters of all time. Largely set in the realm of Hyrule, the adventure predominately centres around Link, and his efforts to capture the Tri Force and save Princess Zelda. The Hyrule Gadget Decals are an officially licensed Legend of Zelda product. Give all your modern gadgets a retro-cool 16-bit super power up with this collection of SNES Gadget Decals. The ideal way to customize phones, tablets and laptops, the SNES Gadget Decals include themed stickers featuring Super Mario World, Super Metroid, The Legend of Zelda, and Super Mario Kart, as well as images of the iconic console and controllers to add a nostalgic tribute to all your modern devices.